The FTT has been under discussion for more than 5 years now. After such a long process, will an agreement be reached or will it fall at the last hurdle? How will it contribute to social justice? Who bears the burden? What will be the consequences for economic activity? Will it deter harmful practices? These are the key questions that should inform tax policy decisions. 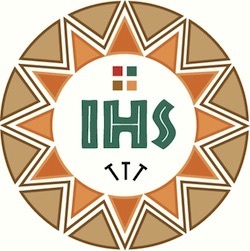 After the 2008 financial crisis, the idea of creating a Financial Transaction Tax (FTT) gained momentum and was supported by many NGOs and various Church organisations including the Pontifical Council for Justice and Peace, COMECE and CIDSE. 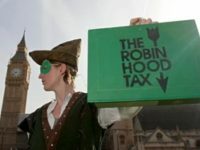 The hope was that a FTT would raise funds from financial markets, which could then be used for international development and climate change policies. The European Commission originally proposed the FTT to Member States in 2011. As an overall consensus failed, in 2013 11 countries (Belgium, Germany, Estonia, Greece, Spain, France, Italy, Austria, Portugal, Slovenia and Slovakia) initiated an Enhanced Cooperation Procedure, which allows at least 9 Member States to implement common policies. Four years later, the group is reduced to 10 countries (Estonia left in 2015) and an agreement is yet to be reached. Belgium, Slovakia and Slovenia are said to be blocking the conversations, but the Austrian finance minister, the chair of negotiations, is confident than an agreement is close and Macron, the new French President, has reportedly shown support for the FTT to fight climate change, as a reaction to the US withdrawal from the Paris Agreement. Could a deal be concluded soon? What is the Commission’s proposal? The European Commission defined three objectives for the FTT: 1) harmonise tax systems in the internal market, 2) increase the financial sector contribution to cover the costs of the crisis and 3) disincentive speculative transactions that do not promote market efficiency and economic welfare. To achieve these goals, a small tax (0.1% on shares and bonds and 0.01% on derivatives) would apply to every financial transaction in secondary markets between parties “established” (a term defined to include a very wide range of activities) in the participating countries. The Commission estimates that the FTT would generate around €31 billion annually. Raised funds would go into the EU budget, allowing participatory countries to reduce their annual contribution accordingly. These would then be free to decide how to allocate additional revenues. During the negotiations, Member States agreed that the FTT should be progressively implemented and initially apply to shares and some derivatives. They also reached a consensus that the cost of sovereign borrowing should not be affected. On the other hand, possible exemptions for pension funds are a stumbling block for the conversations. FTT proponents argue that it would reduce short-term trading, which is often speculative and contributes to volatility and asset bubbles. Investors would then shift from short- to longer-term investments, which could lead to better management of companies. Furthermore, they say, forms of FTT already exist in some countries that remain competitive, notably the UK. On the contrary, FTT opponents argue that by reducing trading volumes, liquidity will diminish and volatility will increase. Also, they claim, the FTT does not tackle the fundamental problem of systemic risk, caused by excessive leverage or too large institutions, increases capital costs for companies and distorts production decisions, which could result in lower economic growth. Empirical evidence is not conclusive about the effect of FTT on volatility. There is a consensus that trading volumes decrease, especially short-term trade, but results on volatility are mixed. It is thus not guaranteed that the FTT will succeed at reducing volatility, which is a main argument of its defenders. On the other hand, claims that the FTT will increase capital costs, leading to lower economic growth are too catastrophic. Capital costs could increase, but it would be negligible and even more irrelevant when considering long-term investments. Since the FTT incentivises such investments, as appears to be the case in France, this argument loses importance. It is true that the FTT alone is not capable of addressing major causes of systemic risk, yet complementary instruments would always be needed and the EU is already implementing some of them. All in all, whilst the FTT would not be economically disastrous, as its opponents claim, it could prove incapable of reducing market volatility. Nevertheless it has the potential to incentivise more productive longer-term investments that could generate growth. The FTT is at a decisive moment and without an agreement soon it may well be abandoned. The topic seems to have been forgotten by the media and NGOs, maybe due to its lengthiness and the absence of a debate on how to use funds, but it may regain momentum if France really commits to it. Hence, in order to force an agreement on a tax broadly supported by the public opinion, civil society has to act now and pressure governments to sign the deal. Originally published in the July/August issue #206 of Europeinfos.